Shins & Cheeks exhibition in Dresden 05.08. - 21.08.2011! "Starting on the 5th of August the exhibition will be shown at the C.Rockefeller Center for contemporary Arts in Dresden. The vernissage starts at 18:00h. 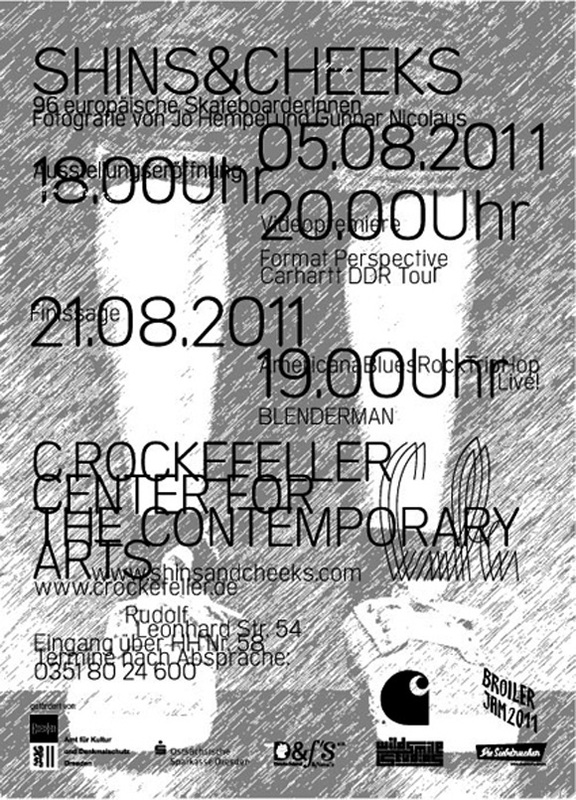 At 20:00h the film „Format Perspective“and the video on the Carhartt DDR Tour 2010 will be shown. Alongside the exhibition the Broiler benifit skateboard jam for kids in San Isidro/CR will take place from the 6th to the 7th of August. So get yourself a ride to the beautifull town of Dresden. The exhibition will be running till the 21st of August." Format Perspective screening in London 04.08.2011!